Born in Helsinki (Finland) in 1983, Joonatan Rautiola studied saxophone at the Sibelius Academy with Pekka Savijoki and at the Paris Conservatoire with Claude Delangle, graduating with honors in 2010. A laureate of a number of major international competitions (Dinant, Düsseldorf, Oslo, Nova Gorica, Paris), Joonatan Rautiola has performed as a soloist with the Latvian National Symphony Orchestra, the Finnish Radio Symphony Orchestra and the Mecklenburgische Staatskapelle Schwerin, among others. He has given recitals in London, Dublin, St. Petersburg and Tokyo and at Carnegie Hall in New York. Joonatan Rautiola has premiered numerous works by contemporary composers, in particular at the IRCAM (Paris). 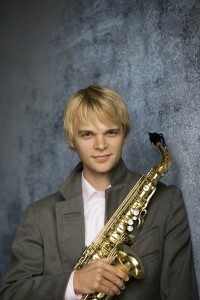 He teaches saxophone at the Sibelius Academy (Helsinki).